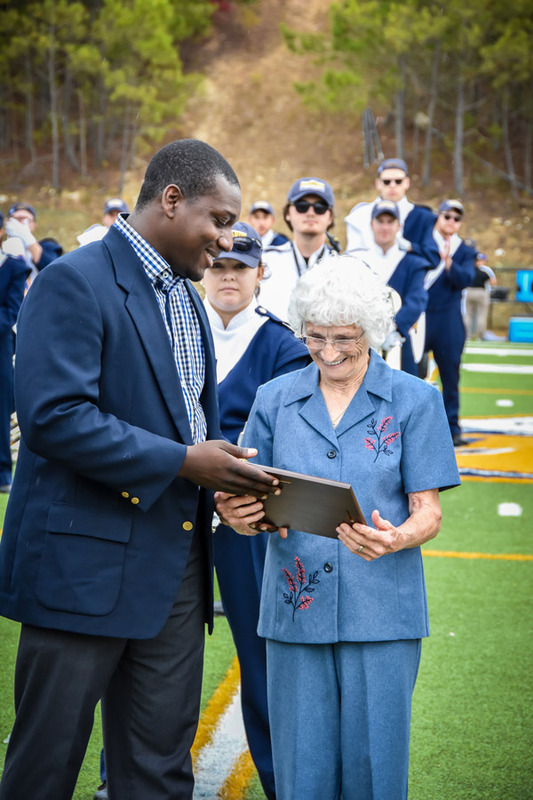 Clara Chambers was honored with the Jason Gamel Blue and Gold Spirit Award during Homecoming 2015. The Reinhardt family celebrated the service of a woman who has given her all to the institution for four decades. Clara Chambers was honored with a 40th anniversary party March 14 at the Bannister Glasshouse. Chambers was a housekeeper on campus until a medical issue slowed her down in November. She has been recovering since. Chambers’ first connection to Reinhardt was in her adolescent days when she attended Reinhardt Academy for elementary and high school. She said she always knew she wanted to work here. 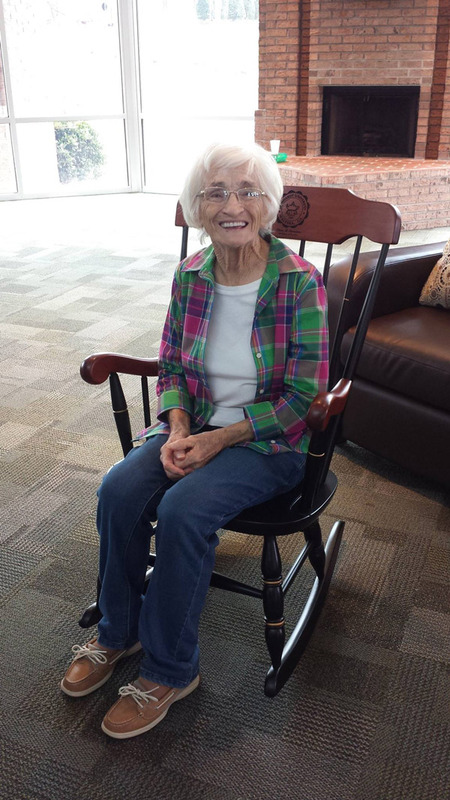 Reinhardt University gifted Clara Chambers with a rocking chair during her 40th anniversary party. The dedicated employee joined Reinhardt College in 1976 as a housekeeper – she worked alongside her husband, the late Wheeler Chambers, for 30 years, which is something she is proud of. They had celebrated their 50th wedding anniversary in July 2005. People flowed through the Bannister Glasshouse during the party held March 14 to honor the woman who calls Reinhardt her home away from home. Dayoub said about 100 people attended the 40th anniversary party. She told the college in 2010 her favorite quote was “We got to get-r-done,” showing her commitment to finishing projects and staying on top of her work.